Material Handling Equipment market in the US to grow at a CAGR of 4.94 percent over the period 2014-2019. 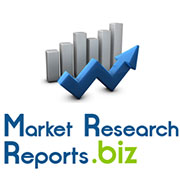 Market Research Reports has added a new report titled, “Material Handling Equipment Market in the US 2015-2019” to its repository which forecasts that the material handling equipment market in the US is expected to grow at a CAGR of 4.94% during the forecast period from 2014 to 2019. According to the report, material handling equipment provides solutions for efficient and cost effective methods of moving goods swiftly and conveniently within an organization. The services and equipment provided by the market helps to reduce the time consumed in the construction of commercial, industrial, and residential buildings. Material handling equipment also quickens the pace of constructing roads and railways. Owing to the diversity of applications and range of benefits it offers to an organization, material handling equipments such as conveyers, tower cranes, slew cranes, crawler cranes, hoists, and forklifts are used increasingly across industries such as Food and Beverages, Mining, Industrial Machinery, Aerospace, Automotive, Power and Energy, Retail, Shipbuilding, Refiners, Electronics, and Electrical. The report presents a comprehensive and detailed research on the present scenario and the growth prospects of the material handling equipment market in the United States over the period from 2015 to 2019. It discusses all the major segments of the market and their respective sub-categories in details to present both qualitative and quantitative insights. In order to ascertain the overall size of the market the report also analyzes the revenue generated from the sales of products and handling services by the material handling equipment market across the United States. The publication presents a comprehensive analysis and in-depth study on the material handling equipment market in the US. The findings and observations included in the report are based on the detailed market analysis coupled with inputs from industry experts. It encompasses the overall landscape of the material handling equipment market in the United States and presents refined forecasts predicting the growth prospects for the market in the forthcoming years. Discussion on key vendors is also a part of the report. The report foresees significant growth both in terms of volume produced and revenue generated by the US material handling equipment market. It highlighted that the predominance of healthy economic conditions will create significant opportunities for the market to propel. However, it may have to face challenges because of the high cost of the equipments manufactured. Nonetheless, incorporation of technology driven electronic intelligence in the process of production will help companies to lower the cost of their products. In order to analyze the competitive landscape of the market, the publication has profiled companies such as Dematic Group, Swisslog, SSI Schaefer, Jervis B. Webb, Witron, Columbus Mckinnon, JBT, System Logistics, Daifuku, Crown Equipment, TGW Logistics, Beumer, Intelligrated, and Si Systems.